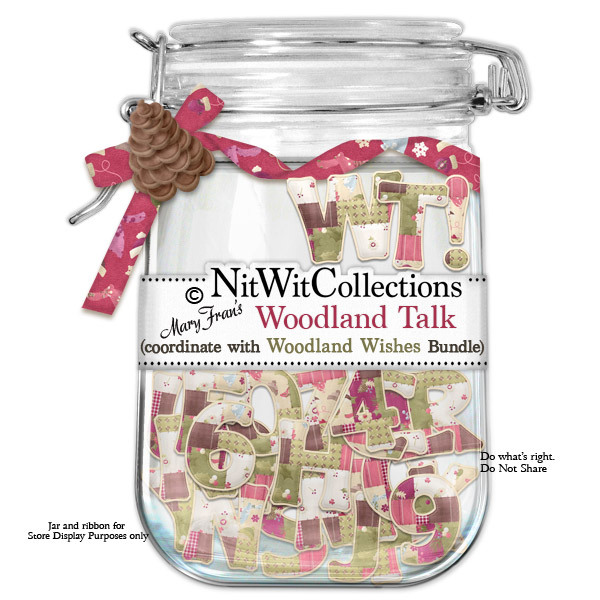 "Woodland Talk" is a quilted fabric looking alpha that compliments the "warm outdoors" feeling of this Collection. The colours and pattern in this alpha make it easy to use with whatever papers you have chosen to make your card or layout with. Wear it well! !